Pretty good for a Monday! A wonderful review of Abby’s Road!! 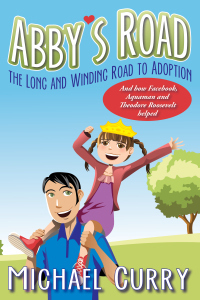 Abby’s Road, the Long and Winding Road to Adoption: And how Facebook, Aquaman and Theodore Roosevelt Helped by Michael Curry is much more than just a book with a long and quirky title. The story follows the journey of the author Michael and his wife Esther as they undergo infertility treatments and ultimately adoption in their endearing quest to become parents. Curry is refreshingly honest, descriptive and raw when describing this roller coaster of a time in his family’s life. As you can tell by the book’s title, Curry also has a sense of humor, which he demonstrates throughout the story (so many fun geek and pop culture mentions in this book). The quest to bring Abby home is an endearing and enlightening read to say the least. Anyone going through infertility, difficulties conceiving or the adoption process will find a kindred spirit in author Michael Curry. And even those who have zero issues adding to their family will find this book informative regarding the real life struggles of other parents. The POV of a male will probably appeal to readers who are expectant or struggling fathers-to-be and I found the light-hearted tone throughout the book enjoyable. I applaud the author for revealing to readers not only the happy times but also the dark and heartbreaking moments that he and his wife endured. The author’s use of quoting his and his wife’s Facebook posts throughout the story was an accurate reflection of the current digital age and added a realistic tone to the book. Highly recommended! Charity is very charitable! Thank you for the great review from Reader’s Favorite! Original Material Copyright 2015 Michael Curry; the review copyright its holder or holders. Plop!? Plop!? I’ve dreaded this moment ever since I decided to do a blog series on the comics that made up the “DC Salutes the Bicentennial” event. How on earth am I going to do an issue synopsis on Plop!? Plop! 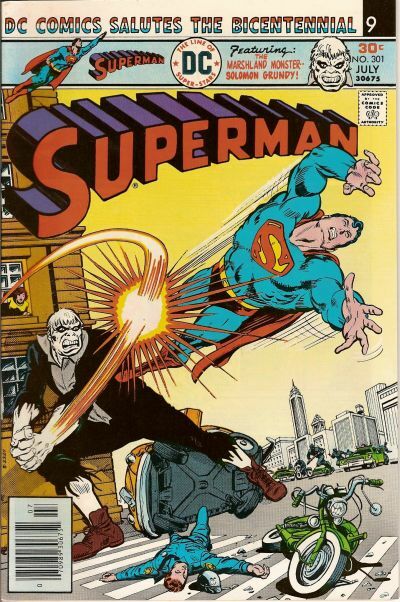 was DC’s attempt at copying the underground comics common at the time. It started as a small humor strip in House of Mystery, but that didn’t quite fit the genre. Well, why not take the strip and similar ideas by (at the time) new young hipster writers like Steve Skeates and put them all into their own comic? 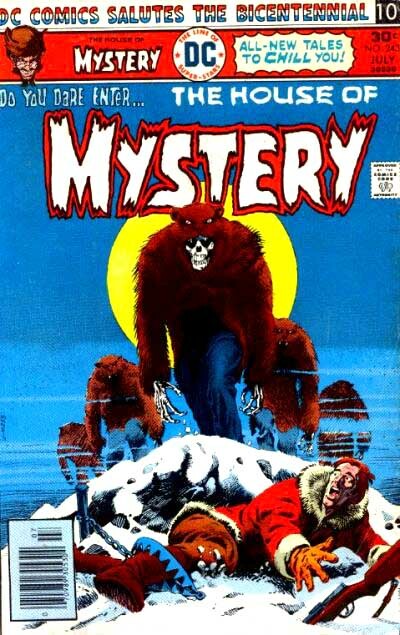 Horror comics have had their skeletal fingers in the western genre (Weird Western Tales), war titles (Weird War Tales), even romance books (Dark Mansion of Forbidden Love), so why not humor? 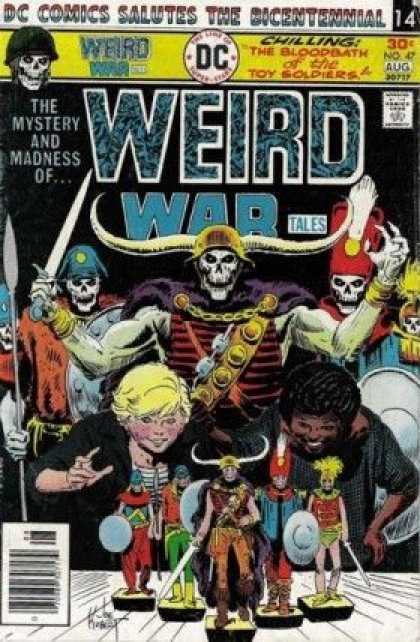 Thus was published the first issue of the Magazine of Weird Humor on October 1973 through 24 issues ending in November of 1976. 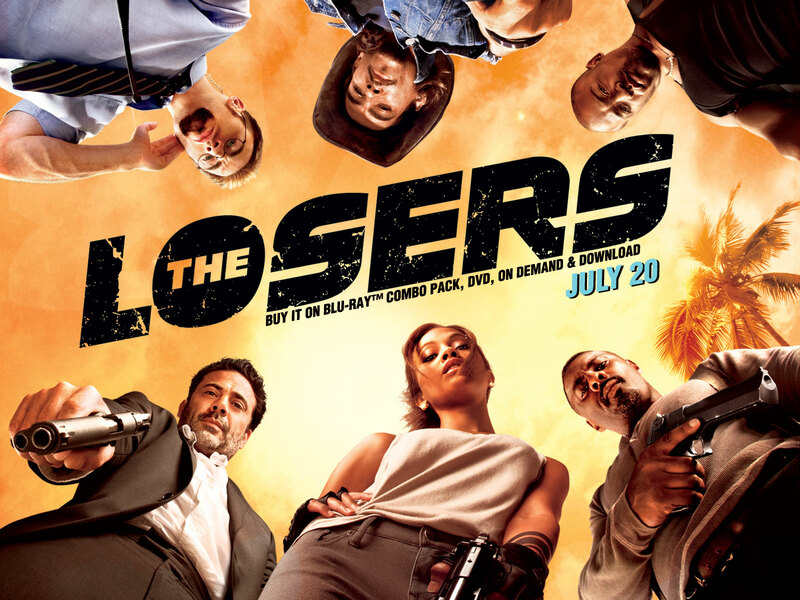 Legend, or in this case Steve Skeates, says it was originally going to be called “Zany”. 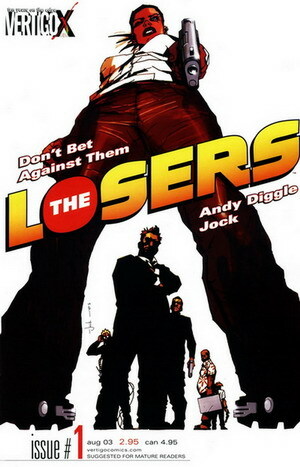 Skeates, Orlando and Carmine Infantino discussed the title. Skeates said it could be called anything as long as it was funny. 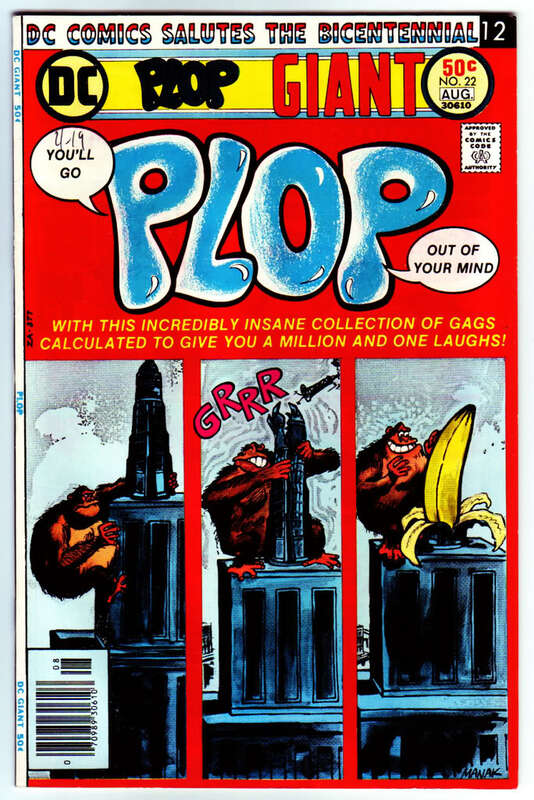 Carmine Infantino made the snarky comment that they couldn’t call it, for example, “Plop!” They could. And they did. Plop! contained mostly single panel or single page strips. 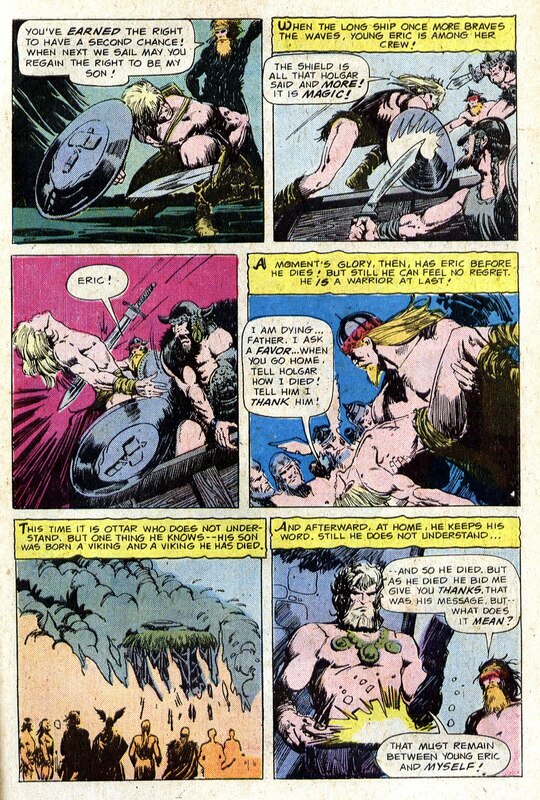 A few strips ran for several pages. 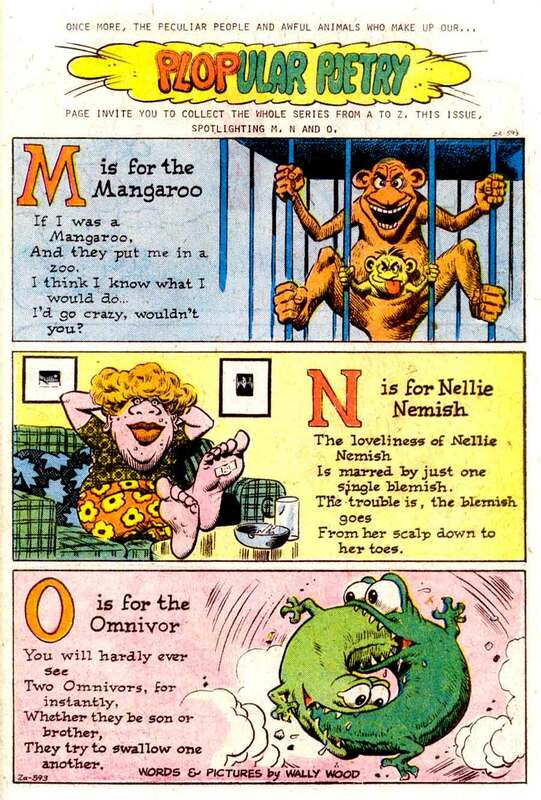 Jokes and puns were written in the blanks between panels – right-side-up, upside-down, sideways, etc. What city is made out of hard stone? Flint. In what city do people wander? Rome. Our hosts for all this frivolity were Cain from House of Mystery, Abel from House of Secrets and Eve from Secrets of Sinister House (and other comics – she moved around a lot…). The Plopular Person of the Month – by Basil Wolverton. This was a regular feature in the comic by this legendary artist! Animal Plops – Don Edwins ( w ) & Dave Manak (a). An experiment to see why elephants are afraid of mice. Ends up they swallow elephants in one gulp! 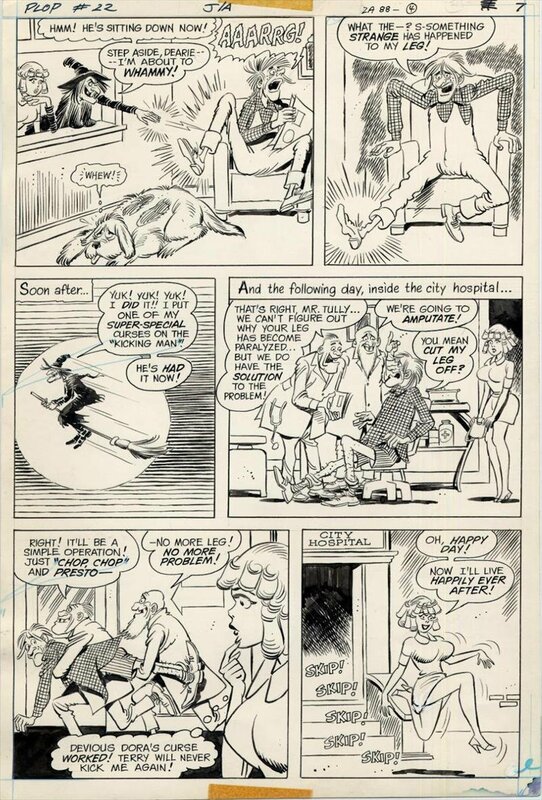 Plopular Poetry – written and drawn by the incomparable Wally Wood! One creation was the Mangaroo! A Tale Before Sunrise – Steve Skeates ( w ), Vincent Alcazar (a). 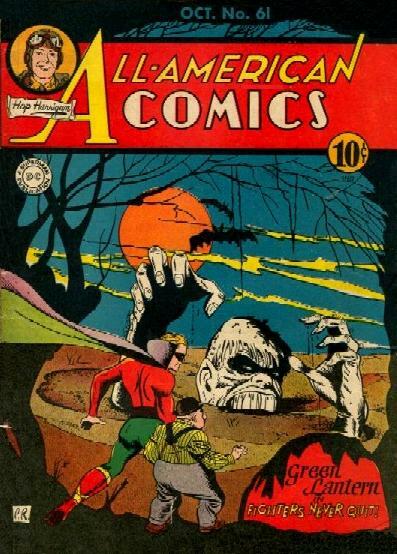 A vampire hunter sees a caped figure rounding a corner. He attacks it with a stake! In the last panel he is arrested for murdering Batman! 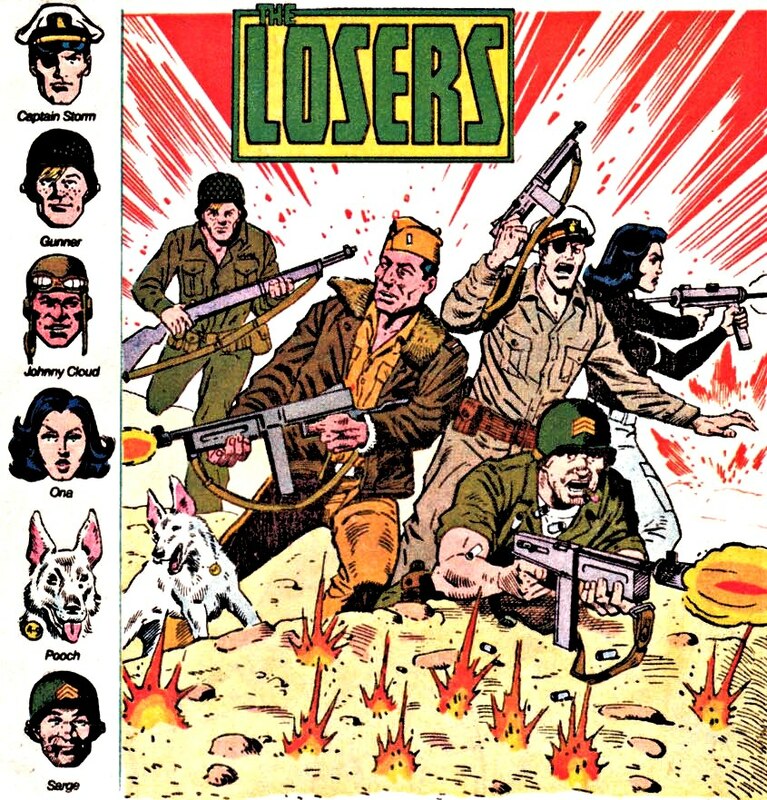 Plop was one of the stranger team-up suggestions in an issue of The Brave and the Bold. The editors in that comic may have published it to “prove” the reader was randomly naming DC “characters” to try to humiliate him, but a comic filled with Batman-themed gags would definitely be one for the history books! 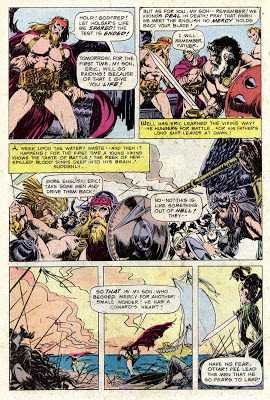 This strip was reprinted in the Best of DC digest #63 (an all-Plop issue). 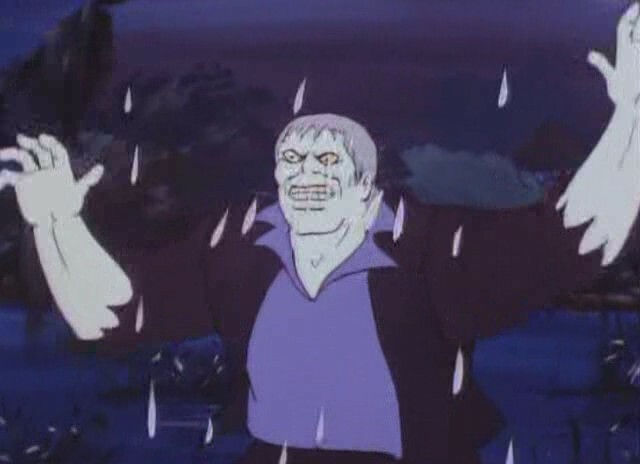 Monster Plops – Ron Edwards ( w ) & Dave Manak (a) – in one gag a vampire hunter opens a coffin and hammers in a stake. In the last panel the vampire is leaping in pain with a stake out of his rear end. How was I to know he slept on his stomach, the hunter asked. Jimmy Holcomb of Mesquite, TX asked why they started putting ads in the comic; Anonymous (Plop is infesting his favorite store and chases customers away), Linus Sabalys of Laval PQ, Canada predicted Plop will burn out soon (he was right! It lasted only two more issues! ), Ron Lindsey of Augusta, GA (Plop will make you sick, scare away cockroaches and can be used as a weapon in the next war), Ken Kemble of San Antonio, TX lists Plop’s good qualities: (a blank paragraph), in a separate paragraph the editor asks that anyone submitting jokes and gags needs to provide a return envelope, Mike Thompson of Lockemup Prison enjoys Prison Plops the most, Mott the Hobbit of Middle Earth asks simply … why? Unsigned has a long letter describing his prison life and the effect the magazine has on him and his cell mate at the insane asylum, Mike White of Mackinaw, IL says Plop is the worst, by that he means the best … etc., Anonymous of Glutton, VT wants more sergio Aragones – although he asks why Aragones would leave MAD to work at this rag… and the editor announces they will no longer publish anonymous/unsigned letters. 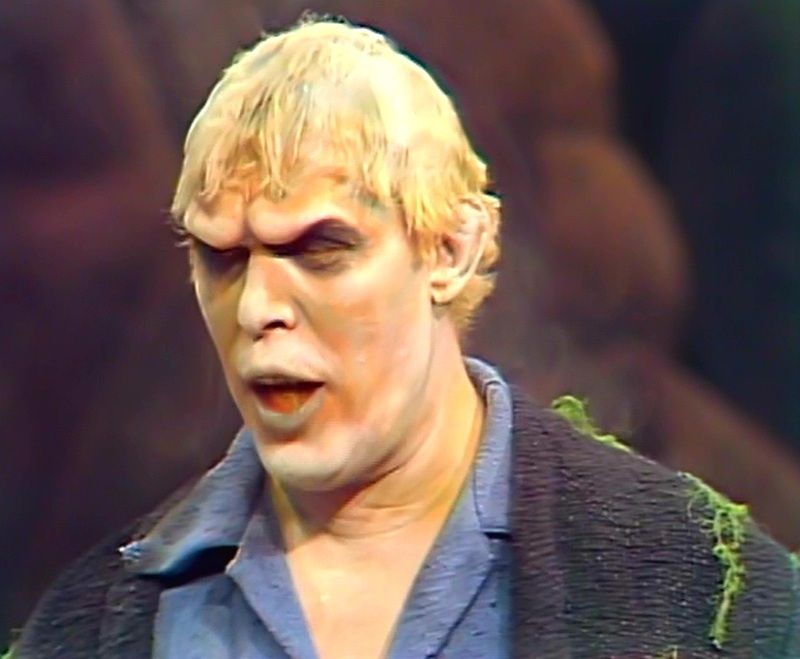 The person answering/commenting is likely Paul Levitz. I kid. Truthfully? Kudos to DC for trying to honestly do something different. Even Marvel’s attempt at humor was stuck firmly in the MAD vein or comics such as Not Brand Echh, a satire with its toes still dipped in the superhero genre. Plop lasted for three years. 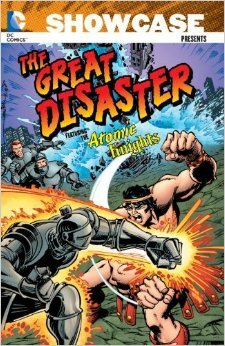 The reprints in various “Best of DC” digests in the late 1970s are some of the most sought-after of that series. Plop is not too expensive on the secondary markets (but not cheap either) yet devilishly hard to find! You might say even after all these years the comic is still very Plopular. Join me for my next review of DC’s Bicentennial comics! 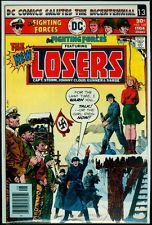 Who else would be issue # Unlucky 13 except the Losers of Our Fighting Forces. Batman #277: my Bicentennial blog continues! Batman debuted in Detective Comics #27 cover dated May of 1939. 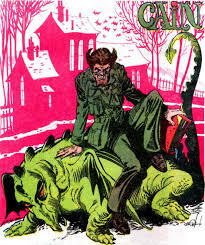 The next spring in 1940 he was given his own comic. Batman #1 featured the debut of iconic villains the Joker and Catwoman. For the past 70+ years, renamings and renumberings notwithstanding, there has been a Batman comic book published ever since. A Black-Lagoon-ish sea creature terrorizes the sitizens of a Florida resort town. A vacationing Bruce Wayne and girlfriend investigate and fight off the beast near a cave on the beach. 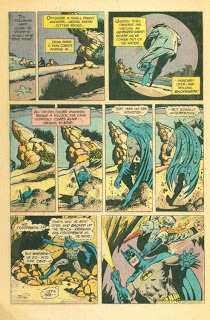 The next night Batman stakes out the cave and spots a man land his small boat on the beach and walk backwards into the cave – sweeping away his prints. 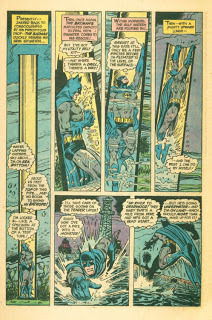 Batman enters the cave and fights off the stranger only to be knocked out by a third man! Batman awakes … as Bruce Wayne! His assailant is dead and Wayne arrested. He escapes from the local jail and meets Alfred. Alfred had followed Batman to the cave and quickly removed his costume to protect his identity from the killer and the police! 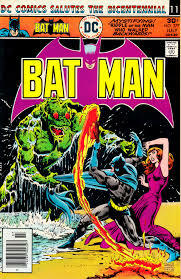 Escaping, Batman – back in costume – searches the cave for clues and finds oily goo, that leads him to an off-shore oil rig. He overhears crooks talking about a “drop”. They catch Batman and throw him in a huge tube under the sea. Escaping again, Batman goes to the new drop point discussed by the crooks in the rig – their old drop point, the cave, is now compromised. He fights the sea creature again – it is one of the crooks in disguise, and stops their drug-smuggling ring. Letters to the Batman, answered by the Answer Man himself, Bob Rozakis for issue #273. Rod McLaughlin of Ramsey, Mont. (positive), Peter Sanderson of New York, NY (guesses that David V Reed is another name for Julius Schwartz; Rozakis debunks it), Fred Schneider of New York, NY, Mike White, Mackinaw, IL, & Michael D. Darguy of Royal, MI all contribute with positive comments. Join me for my next review of DC’s Bicentennial issue #12, a little magazine called PLOP!